GovHack hit the Northern Territory for the first time in July 2017! Which is why we’re pleased to announce that we were proud Silver Sponsors of the event. If you want to find out how we promoted the event then click here. GovHack is all about getting our best and brightest working with government open data in order to innovate and create. It is about encouraging and celebrating our technical and creative capacity; connecting citizens with government for great outcomes, and building upon the social and economic value of open data. The event was a competition that brought together people of all ages and skills with an interest in unlocking the potential of data, sharpening their entrepreneurial skills and competing in a fun incubator event. 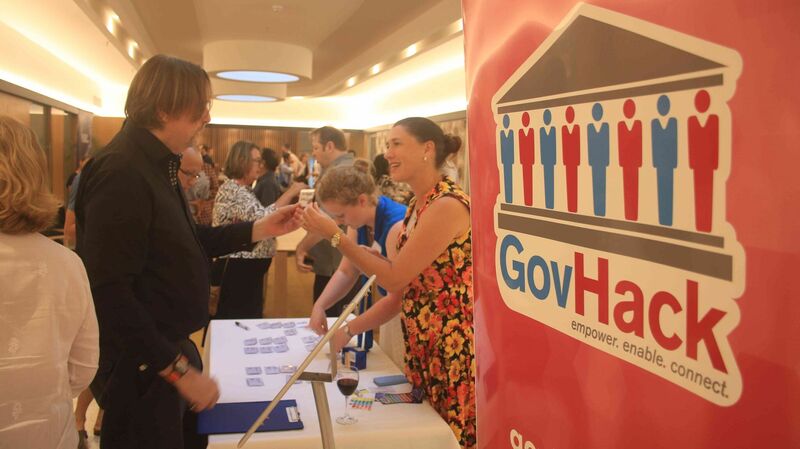 “GovHack is a driving force for #opendata. It enables federal, state and local Governments to align their open data release plans, engage with developers in a collaborative environment and better understand the community value of open data,” according to GovHack National Director Richard Tubb. Over the 46hrs of the event, teams from across Australia and New Zealand created a proof of concept video that tell the story of how open data could be reused. The concepts will include innovative community apps, websites or creative visualisations that demonstrate the potential of open data and showcase the skills of talented participants. What Does This Mean for SLiM DIGITAL? At SLiM DIGITAL, we believe in innovation and doing things better than our competitors. Which is why we believe in the power of Open data. Open data, especially government data, is a tremendous resource that is as yet largely untapped. Projects such as the Finnish ‘tax tree’ and British ‘where does my money go’ show how your tax money is being spent by the government. And there’s the example of how open data saved Canada $3.2 billion in charity tax fraud. Open data can help people make better decisions. In the Netherlands a service, vervuilingsalarm.nl, is available which warns you with a message if the air-quality in your area is going to be particularly bad. Economically, open data is of great importance as well; Several studies have estimated the economic value of open data at several tens of billions and as of 2013 the Australian government has been working to develop their own Open Data policy. Still not convinced? Well the NT Govhack Event was a major success and we’d like to invite you to check out this project from a group in Alice Springs who created an app called “Mobilize” which uses open government data to get people to report fires more often and to streamline and coordinate communications between professional staff, various stakeholders and volunteers. Quick reminder that teams only had 46hrs to create and develop their ideas. We are super impressed and can’t wait to see how these projects go on to benefit the local community.